Pedigree Query • View topic - Old Forster- Sabino or Splash producer? Post subject: Old Forster- Sabino or Splash producer? 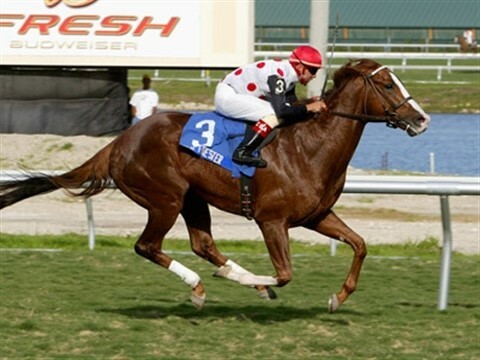 Not sure which it would be, but watching Woodbine racing on TV, and there is an Old Forster 2 yo filly named Blondeonthebeach that has a big white face/muzzle, 4 high white legs, and a big white splotch on her right flank (like a belly spot the landed too high). Tried to find a pic, but couldn't. Does Old Forster have a pedigree that produces colour? 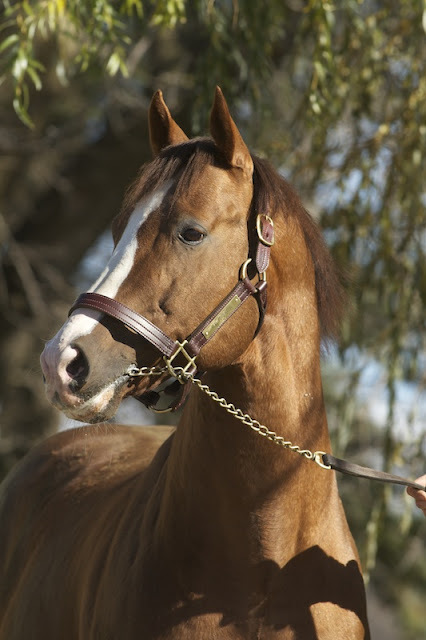 Forestry (sire of Old Forester) produces lots of flashy horses. Riverman and Halo in there too. Post subject: Re: Old Forster- Sabino or Splash producer? 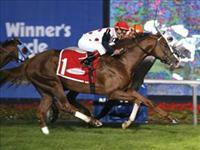 This is going way way back in time, but Old Forester's younger half sister by City Zip, Catch a Glimpse, just won the Breeders Cup Juvenile Fillies Turf. She is a chestnut with a huge white blaze, no socks though. Colour may have come a little bit from sire? Or is there something in the female side of these horses that stands out to anyone in the know. He's got a little flash to pass on.